Learn to paint with local artist, Aaron Sutton! Sign-up for a semi-private class with an incredibly gifted, colorblind artist. 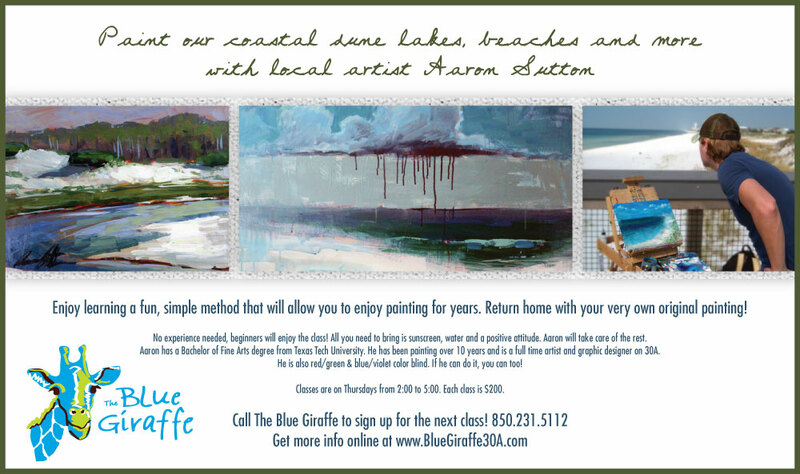 Aaron will meet you at one of the gorgeous coastal areas along 30A and teach you a simple technique using acrylics on canvas. You’ll be amazed at the beautiful artwork you will create and you’ll have such fun doing it! No experience is needed and supplies will be provided. You only need to bring sunscreen, water, and a positive attitude. Classes are on Thursdays from 2:00 to 5:00 and the cost is $200 per person. Space is limited so sign-up now by calling The Blue Giraffe at 850.231.5112. Aaron has a Bachelor of Fine Arts degree from Texas Tech University. 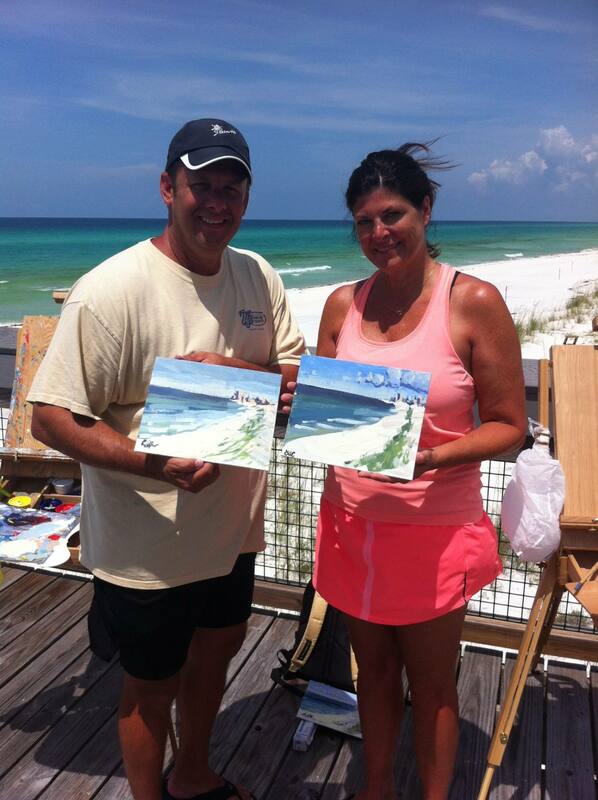 He has been painting for over 10 years and is a full time artist and graphic designer on 30A. He is also red/green and blue/violet color blind. If he can do it, you can too! Read more about Aaron Sutton by visiting our ARTISTS page and our BLOG. Interview with the Author – Special to The Walton Sun by Deborah Wheeler. 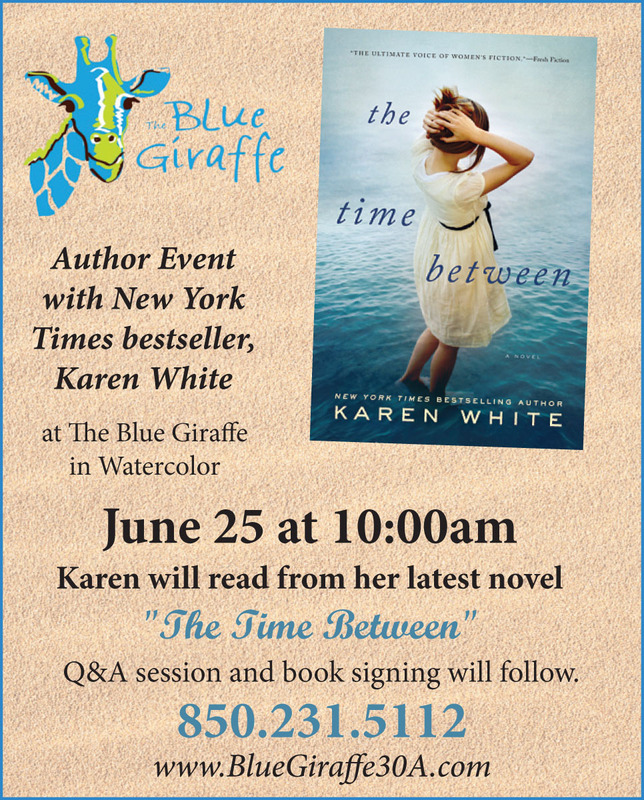 Karen White, a part-time resident of the WaterColor community, has penned her 16th novel — “The Time Between” — and will be reading from it and signing copies at The Blue Giraffe on June 25. White said her latest work spans between 1944 Hungary to modern-day South Carolina. “It’s about sisters and forgiveness,” she said. The idea for the book came through an article the author came across in a newspaper a few years back. The article was about two sisters who escaped Hungary in 1944, never married, lived in the same house together and were very socially active in their community. However, the sisters suddenly became reclusive, and a couple of years later, both were found dead in their home within days of each other. “Obviously something happened to make them become reclusive, and while I didn’t know what it was, it sparked my imagination and I made up my own story. So, it is a work of fiction,” White said. White doesn’t have a sister, but her mother had five and she always enjoyed sitting in on their sisterly talks and watching their close interactions. “I always wished I had a sister and the way sisters interact intrigues me,” she said. She enjoys writing what she refers to as “grit lit” — Southern women’s fiction. However, White’s creative writing sparks could be ignited by almost anything, she said, such as someone saying something interesting, or a picture she might see in a coffee table book. Her interests are varied and easily inspired. “I know when I get a tingly feeling that I am on to something,” she said. That tingly feeling has paid off as the author’s work has made it onto the New York Times Best Sellers list twice. “That achievement came as a complete surprise, but it is good to know that more than family and friends are buying my work,” she said. Her 2012 releases, “Sea Change” and “After the Rain” debuted on the New York Times bestseller list at number 12 and 14 respectively. Her fourth and final book in her Tradd Street series, “Return toTradd Street,” is scheduled for publication in January 2014. White will read an excerpt from the book, followed by a short Q&A session before the signing. 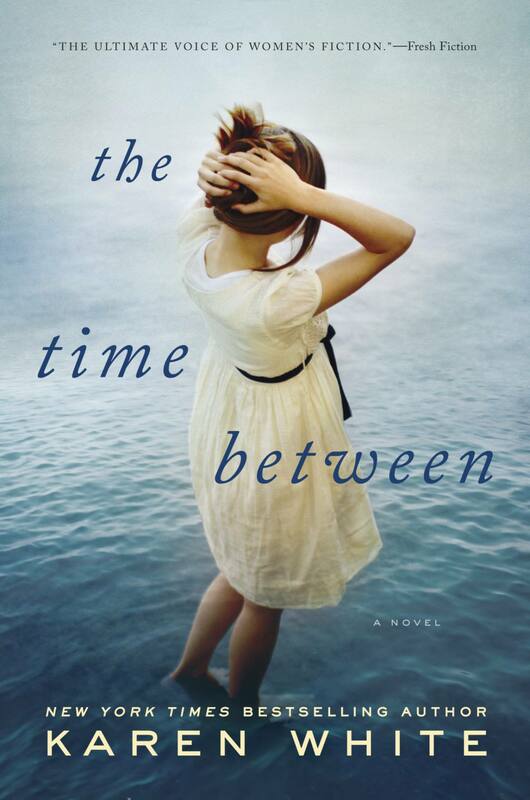 The event begins at 10 a.m.
New York Times bestselling author Karen White was at The Blue Giraffe on June 25th as part of a national tour promoting her latest novel and first-ever hardcover, THE TIME BETWEEN. We are thrilled to report that her 16th novel debuted at #25 on the New York Times bestsellers list! Despite a little rain, lots of loyal fans joined us to hear Karen read from THE TIME BETWEEN, then enjoyed a lively discussion with this gifted author and gracious woman. Karen took the time to autograph several copies of her book which are available in our gallery. If you were unable to attend her event, we will be happy to mail you a copy. Simply call us at 850.231.5112 to place your order.